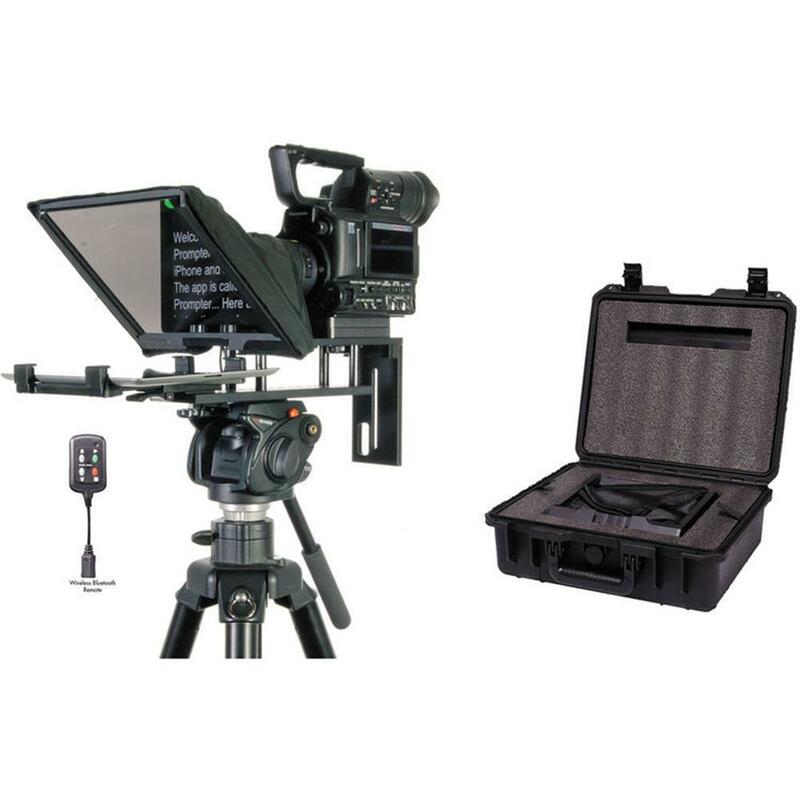 The Datavideo Prompter Kit TP-300B can be used in either a theatre setting, or a video studio. Prepared scripts or cue sheets can be easily copied and pasted into the DV prompter app software (free download available for iOS and Android devices at the Apple App Store and Google Play, respectively) and scrolled at a set automatic rate or controlled by a user with the included wired/wireless remote for a more natural result. A number of clear fonts, colours and text sizes are available making reading comfortable from a variety of distances. With a new mounting system, the TP-300B can be quickly and easily adapted to hold a variety of tablet devices. Simple, free software (available on Google Play and Apple App Store) and included remote allow users to produce professional results at low cost. Special 60/40 Glass allows the presenter to read the script and the camera to see the subject. Strong and rigid prompter frame fixes securely to any standard tripod quick release plate. The prompter frame is designed to allow stand alone, in front of camera or below lens prompting. The black camera snood/hood is adjustable to adapt for a wide variety of cameras. Quick and simple assembly that requires no special tooling. Hand carrying case designed for the TP-300 teleprompter. The HC-300 is an essential means of protecting and transporting the TP-300, complete with mountings. The case's design allows the end user to take the TP-300 pre-cut foam out of the original box packaging and fit directly it into the HC-300 carry case.